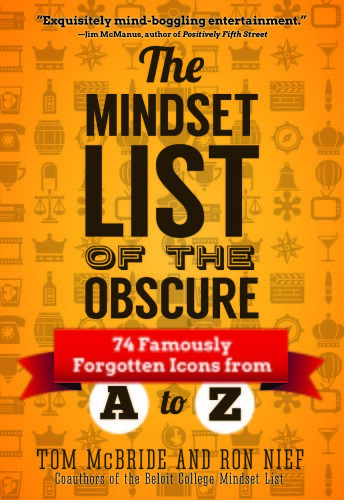 The Mindset List of the Obscure details 74 famously forgotten icons of American life, such as Slide Rules and Tired Blood, Mimeograph Machines and Volkswagen Jokes. It explains why they’ve been forgotten, what today’s young people might think of them, and how they are uncannily similar to well-known cultural phenomena in today’s world. This book will educate you about America’s past, amuse you about its present, and bend your mind about its future.